CMA - What is it? Do You Need One? 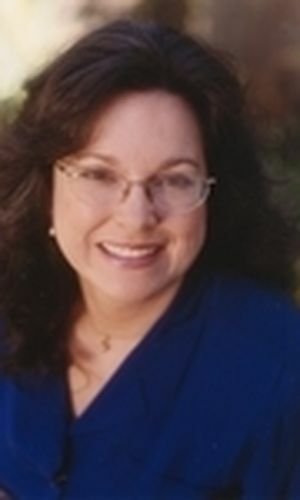 MC Dwyer- Santa Cruz Mountains real estate specialist & San Lorenzo Valley homes. When you’re thinking of selling, you may already have an idea about the price you’d like to get for your home. But do you really know what your property is worth? A full time REALTOR typically prepares dozens of CMAs each year. CMA stands for Comparative Market Analysis. A computerized CMA (like the one I offer at www.HomeValues24-7) can be prepared within a few hours based on details you provide. I’ll be comparing your property’s characteristics to recent similar property sales nearby, my knowledge of the homes currently on the MLS (Multiple Listing Service) and those in escrow already. A computerized CMA usually results in a figure within about 5-10% of your property’s value. It’s a starting point. Using a local, full time REALTOR to prepare your CMA is invaluable, because most full time REALTORs will have seen the comparable properties either on brokers’ tour or because they’ve shown them to buyers. Since you wouldn’t want to either over- or under- price your property, the best way to pinpoint your property’s value is to invite me to come visit your home. Don’t worry – it needn’t be in “show” condition (yet!). I will be looking at the neighborhood, roads, sun exposure, as well as visually assessing the condition of your home. I’ll ask questions about repairs and upgrades you’ve done, what you’ve liked most about living there, and your budget for preparing the house to sell. Then I return to the office, review the MLS, crunch numbers, consider recommendations, and write up your CMA report. Usually we schedule a second appointment to review the complete CMA report: this way you’ll be well informed as to how your property fits into the current marketplace. A CMA is different from an Appraisal. An appraisal costs at least $500 and is prepared by a certified appraiser. Typically my CMA is accurate enough for most resale purposes. You might want to get an appraisal to establish value at time of death, for an estate or other legal reasons. There are several reasons why you shouldn’t want to list your property at a price above that recommended in the CMA. First, today’s buyers are more aware of the market than ever before! Many buyers dismiss overpriced properties without even seeing them. Second, and more importantly, most buyers need a loan to purchase a home. The buyers’ lender will insist on getting a neutral, 3rd party Appraisal to justify the buyer’s contractual purchase price. CMAs can also be valuable to buyers, as well as home owners considering remodeling. A CMA helps buyers figure out what price to offer for a home. Home owners should work with their REALTOR to make sure they don’t waste money: either by over-improving or by making changes that won’t appeal to future buyers.